We are a boiler and plumbing installation company. We repair, service and install the solutions that heat your home and your family. We repair and service boilers and all gas central heating systems. We replace and install new energy efficient boilers where it is not economically viable to repair the existing boiler, it is not Gas Safety Compliant or reliability becomes an issue. We specialise in boosting poor mains water pressure. We consult, advise and plan new and existing central heating systems with a view to upgrading to modern energy efficient standards. We are Gas Safe compliant. We cover several elements of Plumbing work. We also service and repair Sarigas, Valiant, Worcester Bosch and Potterton boilers. One of the world's leading companies in thermic comfort, Ariston Thermo Group offers a complete range of heating and hot water products, systems, services and solutions designed to provide the maximum degree of comfort with the minimum use of energy. Designed to meet the needs of both domestic and light commercial situations, Keston’s wide range of appliances are quick and easy to install, built with state-of-the-art tried and tested technology, and provide total peace of mind reassurance. Whether for single or two-family homes, large residential complexes, commercial and industrial buildings or local heating networks, Viessmann has the right system solution with heat sources for all fuel types and outputs ranging from 1.5 to 120.000 kW. As we enter an age of high efficiency gas central heating systems, the need for ‘MagnaClean’ has never been greater. Even a small build-up of iron oxide deposits in a standard or high efficiency boiler can result in significant efficiency loss to the system and potential damage. A MagnaClean filter is the best way to prevent this happening. The magnetic filter quickly captures and actively traps iron oxide deposits as they pass through the heating system, helping to keep your heating system free flowing, your radiators warm and your boiler working at its peak efficiency. The innovative design of MagnaClean has won multiple awards from the likes of CORGI & The Sunday Times and is now protecting almost 2 Million household heating systems throughout the UK. totally mains water supplied ie: no storage tank in the loft and using an unvented hot water cylinder. pressure deficient, enabling combi-boilers to work at optimum performance ie: overheating or excessively cutting back on hot water production. We can provide solutions to most problems involving poor domestic hot/cold and potable water pressure issues, just ask us. 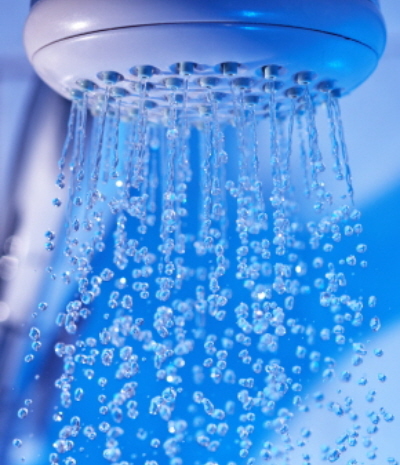 We are trained experts in unvented hot water systems and can provide our customers with un-paralleled showers, rapid bath filling and instant hot water at any tap/hot water outlet in the house, these systems can be economically heated by Gas, Solar power or Air source heat pump, or a mixture of any two of the three methods. Please note: we also prefer to maintain our installations; which makes sense because we know your system inside out.